Hello and Welcome to GetWebInfo. 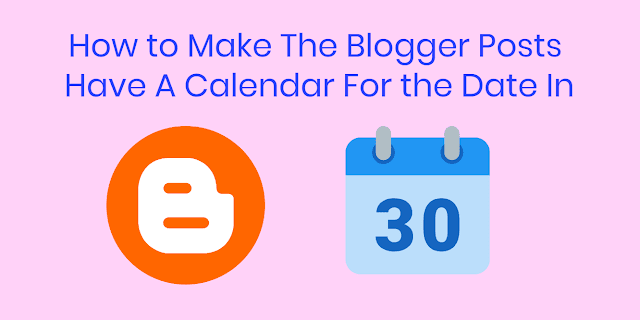 Here on this post i will tell you that How to Make The Blogger Posts Have A Calendar For the Date In. It's quite common to see calendr style dates next too some WordPress posts but for the Blogger platform it isn't always easy adding it. But who said you can't do it? You need to look no further than this blog. Step 01: Go To "Setting"> Language and Formatting" - "Date Header Formate" and change the date formate as you can see in this example below ( First add Day, Month and Finally Year).. Step 03: Click Anywhere inside the code area and press CTRL + F to open the blogger search box. Step 04: Type or Past the following line inside the search box and hit Enter to Find it Out. Step 08: Now preview you template and make sure everything looks ok, hit the Save Template Button. You can all don now. I hope this article is really help for you if you like this article so please share it to your social media account thanks.